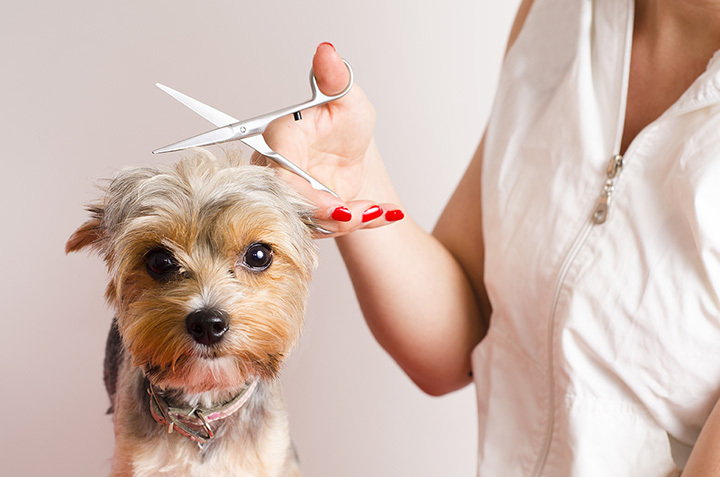 The 10 Best Pet Groomers in Alabama! Choosing a pet groomer in Alabama isn’t a decision to take lightly. You want to be sure your four-legged friend is treated with care and compassion during their visit. You want them to enjoy their spa day and come home looking and feeling their best. Let’s face it: Your furry family members deserve nothing but the best, and these 10 best pet groomers in Alabama are paws-itively amazing. This pet pit stop is welcoming of all breeds for full-service grooming. You can get a basic bath or trim, or opt for a spa package that includes treatments like facials, pawdicures, and massage. In addition to their salon, you can count on them for doggie daycare, boarding, and mobile grooming. They also groom cats! The name: your dog will be a lucky dog to have the opportunity for a spa day here. Part retail store, part grooming salon, the owners are 100 percent dedicated to every pet entrusted to them. They offer a full suite of walk-in services, or you could book an entire pampering package and give your canine the best day of his or her life. Part doggy salon, part pet boutique, this place has a lot going for it. For starters, their fans rave about the attention to detail by the staff and the gentle care they provide. While your dog is getting pampered, you can pick up a new accessory or their favorite treat in the boutique to reward their good behavior at the groomer. This place is way more than a catchy name. Their guests love them because they know the groomers care for every pet as if it were their own. They provide a one-stop solution for grooming and boarding services, and their prices are pocket-friendly. You can book your appointment online to save time. You can trust your pet will be in good hands here. They’re truly passionate about pets and are dedicated to keep your fur baby looking and feeling great after their spa day. If you decide to board them here, rest assured they will have their very own room—no crates welcome here! This pet salon and resort might just make you a little jealous that they only care for pets. They only hire the best professional pet groomers who have undergone intense training. They know how to make your pet feel relaxed and right at home, and they’ll be excited to return. They’ve made it easy to get the precise look you want for your pet. Handy tools like their fur chart lets you experience what different cuts will feel and look like. Customers love coming here because their prices are reasonable and their work is flawless. It’s also a great place for specific breed cuts. As one of Alabama’s longest-running pet grooming salons, Copeland’s has a history dating back to 1945. They’re able to perform grooming services for all breeds, because every dog deserves its day. If you choose to use their pet motel, you can log in online and watch your pet via their pet webcams to make sure they’re enjoying their stay. They speak fluent canine and feline here and have a welcoming environment to all breeds. In addition to standard grooming services, they also offer medicated baths and flea dips to give your pet (and yourself!) some much-appreciated relief. Customers comment on the groomer’s ability to calm even the most anxious pets and make sure they have an enjoyable experience. They’ve got the most reasonable rates in the area, but that doesn’t mean they skimp on quality. Fans love them because they do a thorough job in bathing and trimming dogs of all sizes and breeds. Owners with specialty or rare breeds know they’ll get the best experience here.